Samsung Q900R 8K QLED TVs start at £5000, pre-order open now | What Hi-Fi? 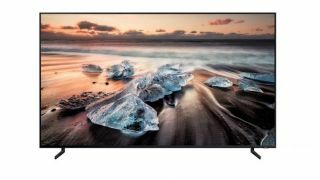 While we’ve known about Samsung’s 8K TV ambitions for over a year, it was only recently at IFA that we learnt specific details about the company’s much-anticipated upcoming models: the range is called Q900R 8K QLED, it comprises ‘65in and above’ screen sizes, and it will be available in the UK in mid-October. We now, however, have the last pieces of the puzzle: a confirmed on-sale date and prices. The Q900R QLED TVs – the first 8K TVs to hit UK shelves – will be available for pre-order from tomorrow (October 3rd), with actual availability – the date you can have one in your actual living room – two weeks later on Wednesday 17th. We guessed that asking prices would be north of £5000 to surpass those of its flagship 4K QLED models, and it seems we’re bang-on the nose. Samsung has revealed that pricing starts at £4,999 for the 65in variant, with the 75in size £6,999. There's an 85in version too, and while prices aren't showing on Samsung's UK store, there's a £14,999 floating around the internet. Pre-order is open now, and we'll be bringing you our verdict on a Samsung 8K QLED TV by the time shipping starts. Watch this space.